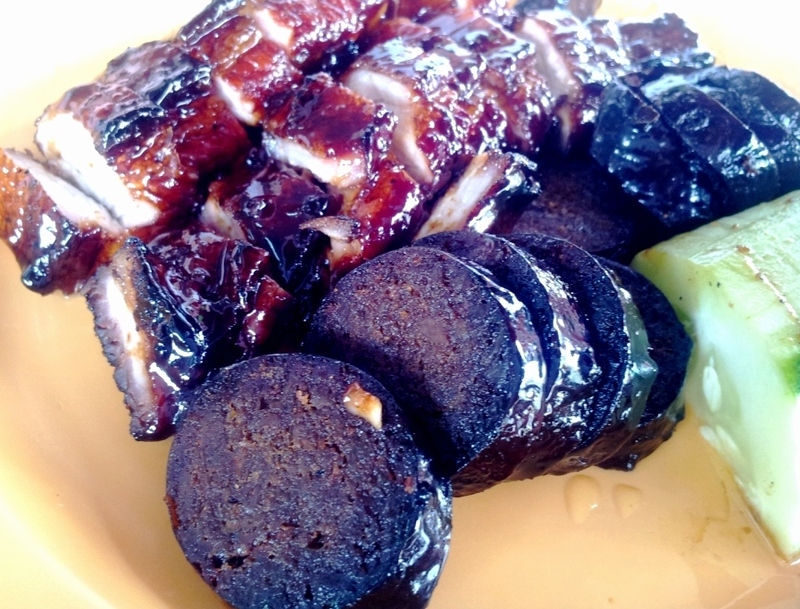 Seremban Favourites Restaurant – Char Siew ! It’s been ages since hub and I went out with friends to bar. Perhaps it’s the age, or maybe friends just stop asking you out once you are married. Anyway, hub had some friends down from Singapore and they were so excited catching up on old times till 2 am. By the time we reach home and get ready for oioi (sleeping), it was 3 am. We only woke up around 11:30 am the next day. It was so hard to try and drag myself off the bed but the growling tummy was a motivation to get up. I told hub I need substance and it better be solid and fast. 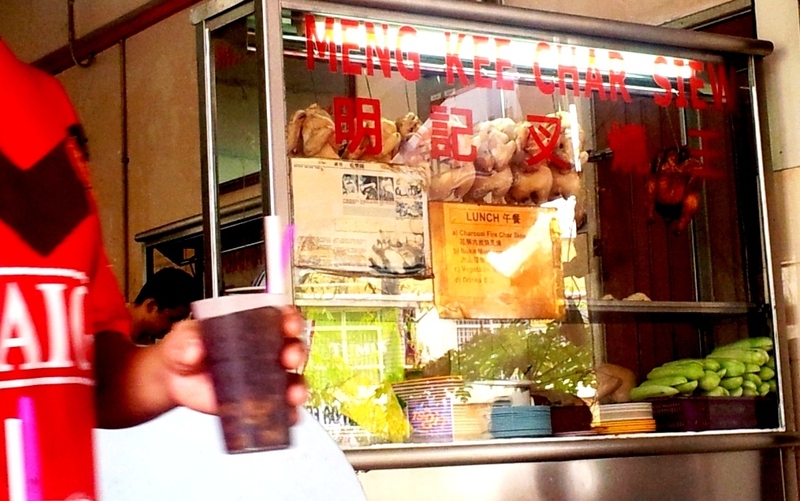 Seremban Favourites came to our mind and we quickly made our journey there. The place has recently moved to the shop next door and it is now in a better environment (i.e. Air-Con !!). 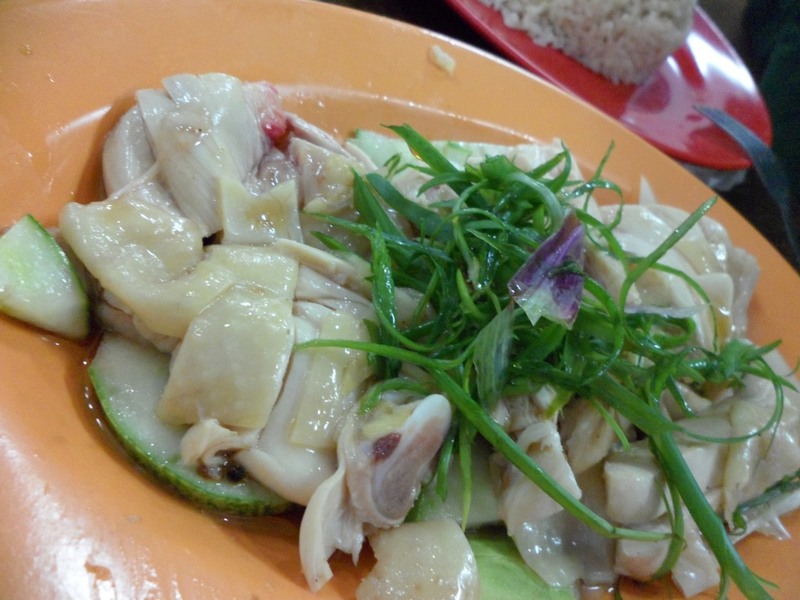 After placing our order, we were serve almost immediately as we order rice instead of their famous hakka mee. I love their steam white chicken. The meat is always so juicy and soft. Hence, we ordered a bigger portion of this. 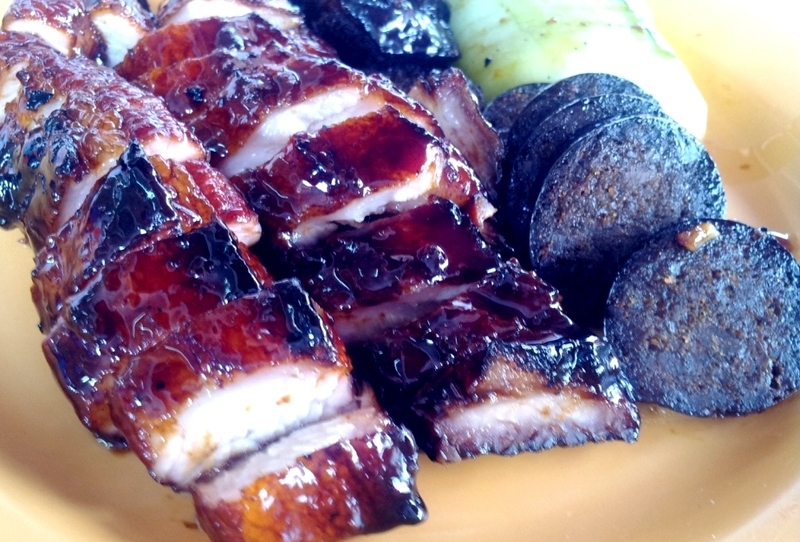 However, it will be wrong to be here and not order their famous char siew. We always have the half fat half thin version. (you can order full thin or full fat version too). 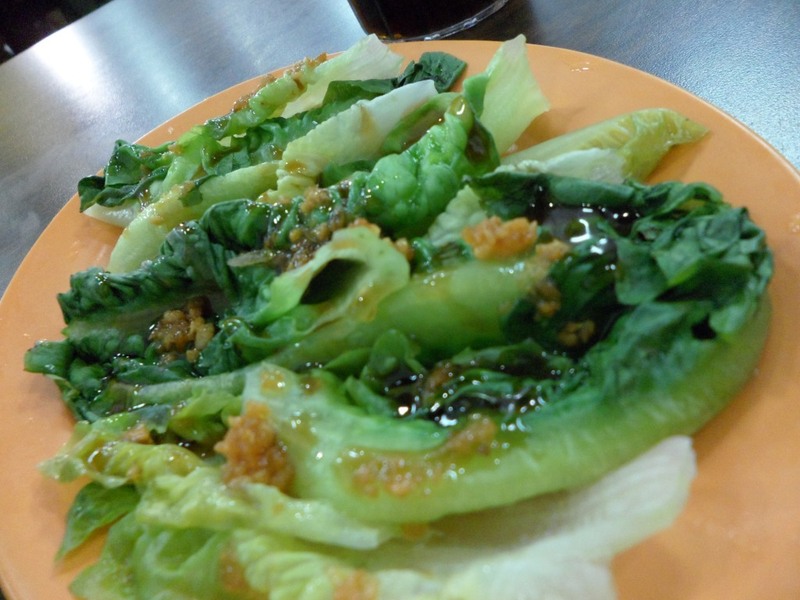 Feeling a little guilty of all those meat, I ordered a small portion of boil yau-mak (a type of vege). We dive into our food and walked out happy and satisfied. It is not easy to miss once you reach the road below. You just need to follow the crowd and where most of the car parks. Beware if you go on weekdays as office crowd is crazy. Usually, I prefer to go on weekends and try to be there around 11:45am for lunch. Hmm…. 12pm now. another 30mins to lunch. This is always the hardest time during work for me.I usually gets really hungry around 11:45am. Deciding that it is not a good thing, I decided to post an entry in my blog. Initially, I was thinking of posting about something else altogether. But, the FOOD keep coming back to haunt me. So, here I am …. thinking about food again. After considering the food options available, I decided that for lunch today, it will be at Seremban favourites in Aman Suria area. 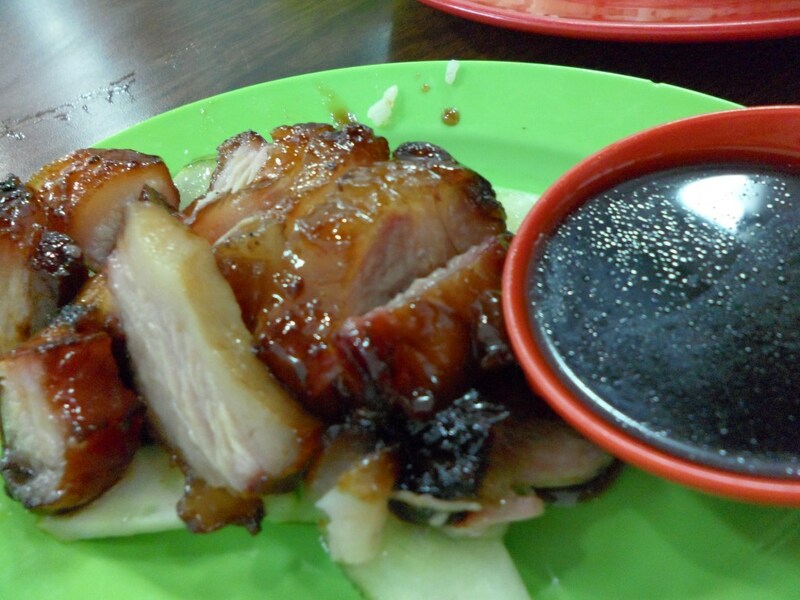 Personally, i still prefer Meng Kee Char Siew at glenmarie, shah-alam. But, my brother favours Seremban Favourites. 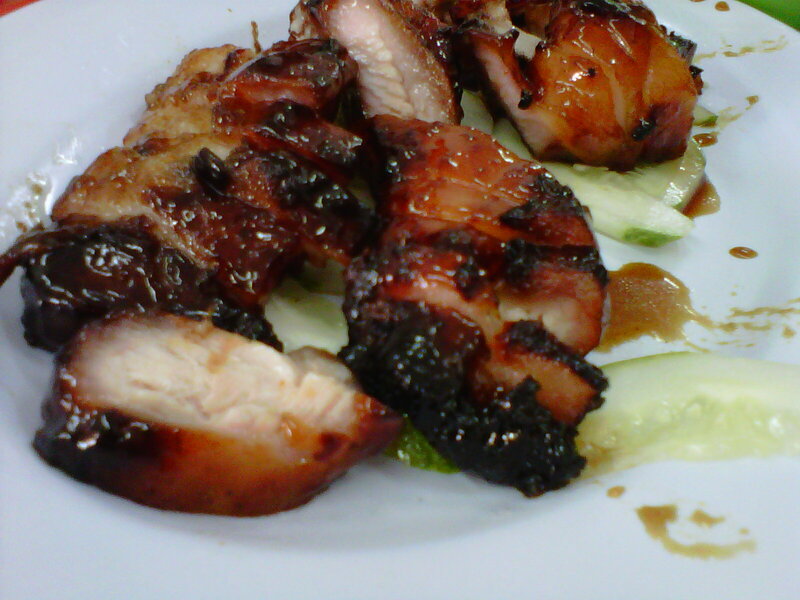 It is normally pork belly (3 layer / 5 layer) BBQ with honey / maltose mix with a few more assortments of herbs and spices. Normally consume with rice / noodles.